Saying a thank you needs to be celebrated! We often forget to tell a simple Thank You as it's taken for granted. So, Thank You, dear RSJoomla! customers! To mark the importance of this special day, we have prepared another awesome discount promotion. RSJoomla! wishes you a Merry Christmas and a Happy New Year! It’s the most wonderful time of the year at RSJoomla!. Our team offers a friendly Christmas greeting to all of you! Christmas is the time to feel the holiday cheer and be around your dear ones, but if you’re running a successful business it is also the time to take advantage of our promotion. 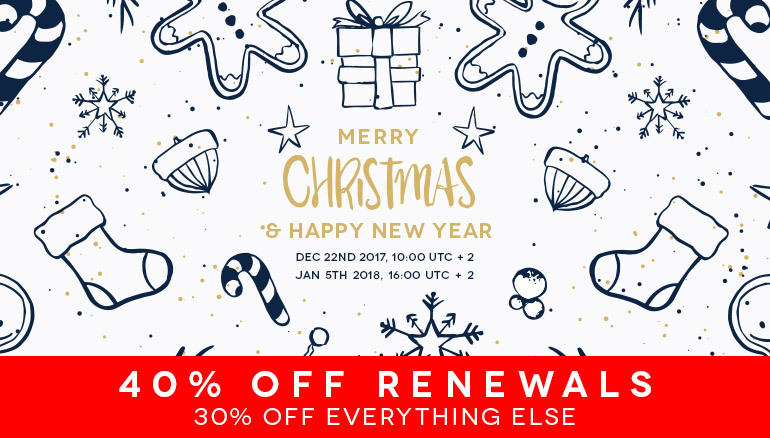 Endless Discounts at RSJoomla! - Cyber Monday is on! After three days of massive Black Friday discounts, Cyber Monday is in full swing. There is no better way to spend your Monday than browsing our Joomla! products and bagging yourself a great bargain. With big savings off a range of extensions and templates you can enhance your websites, the question is, what are you waiting for? 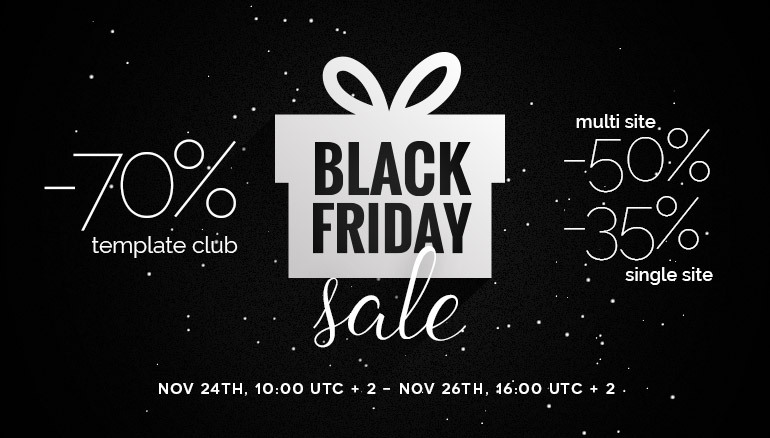 Black Friday Weekend Sale – Up to 70% Off. What Are You Waiting For? The biggest, best, most amazing, beyond anything, ever, sale event. Starts now. 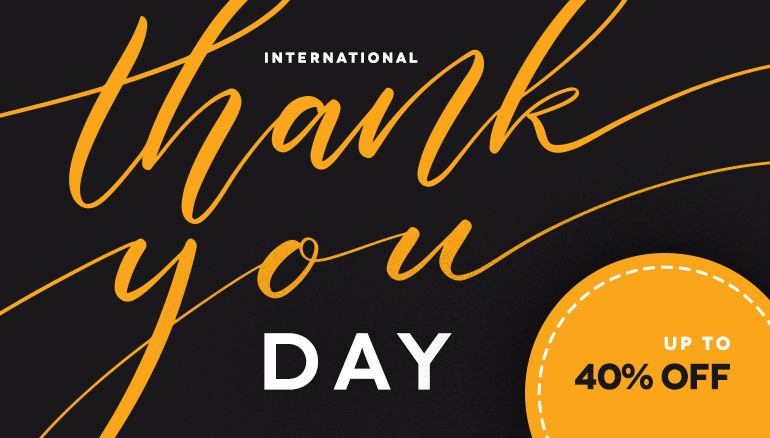 To show our appreciation for all our customers, we’re offering big discounts on everything to everyone! 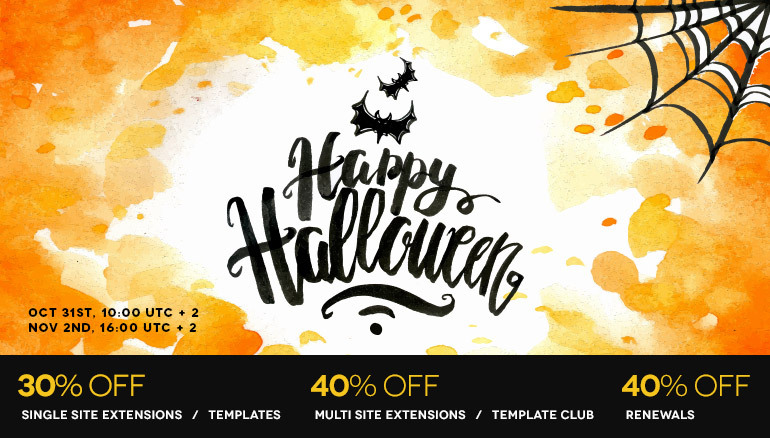 Spooky Halloween Sales at RSJoomla! All Hallows' Eve, also known as Halloween, is celebrated on 31st of October and is one of the most popular celebrations around the globe, so the RSJoomla! team has prepared a Spooky Sales Promotion that you don't want to miss.